Light can be defined without sun. Fragrance can be defined without a rose, but beauty cannot be defined without you. 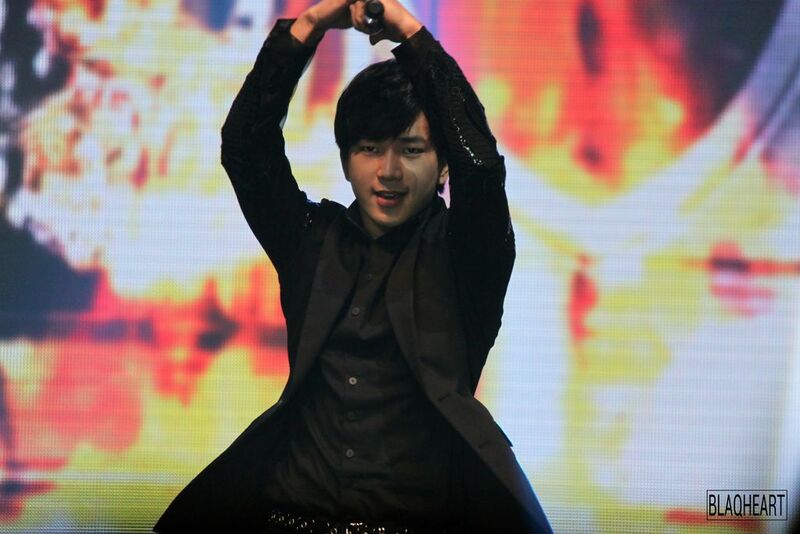 At the close of 2013, I was well on my journey into falling deeply under G.O’s spell. 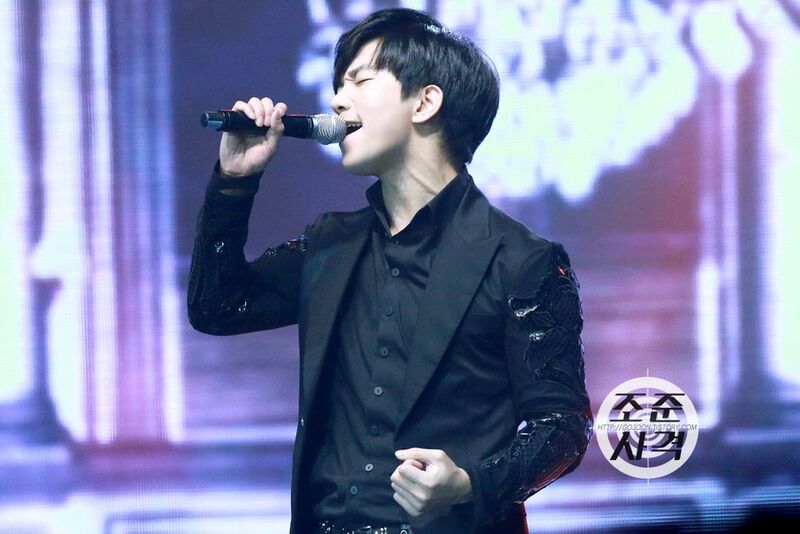 It was fortunate in that there was much to look forward to in the new year, specifically an MBLAQ comeback, complete with a Japanese single release as well as two starring roles for our up and coming musical actor, G.O. Before the release of Broken and subsequent promotions, and before G.O’s Korean musical theater debut in Seopyeonje, the men of MBLAQ took part in a WAPOP concert at the Dome Art Hall of the Seoul Children’s Grand Park. Too much beautiful on the stage that day. Too much. 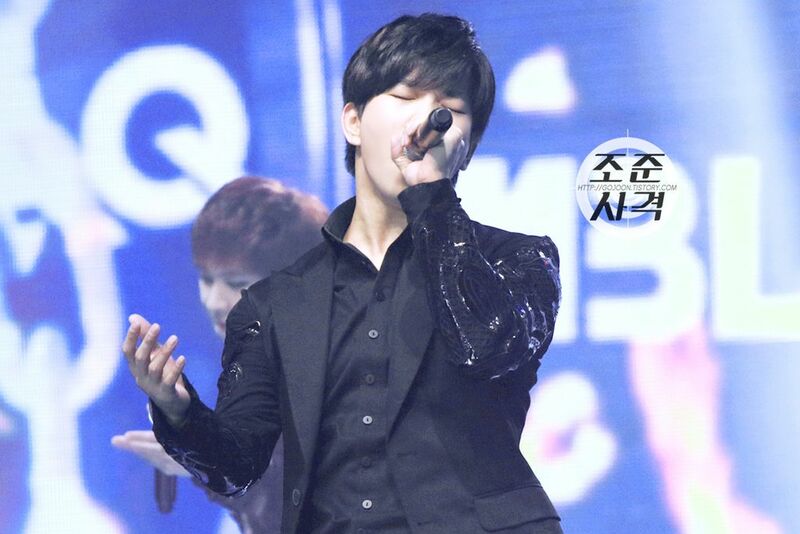 Sometimes the auric glow that surrounds G.O when he is on stage is not due to the lights beaming down upon him. No, with him I think there is an incandescence that radiates from him when he settles into a performance, gives in to his art, and communicates in song. The men did not share any new music that day but they certainly reminded everyone of their talent, eloquence and charisma, especially the main vocal man…hehehehe. Major bias rising. 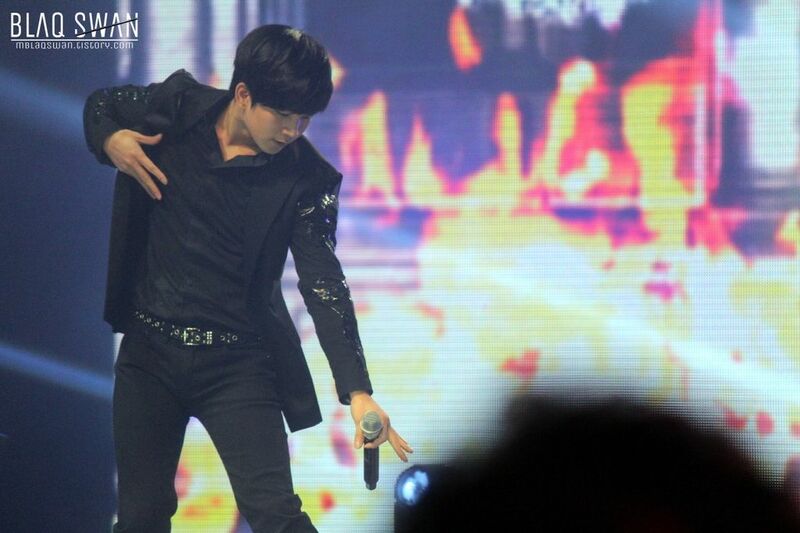 I am not ashamed to admit that when G.O is on the stage, he takes my attention away from all else. 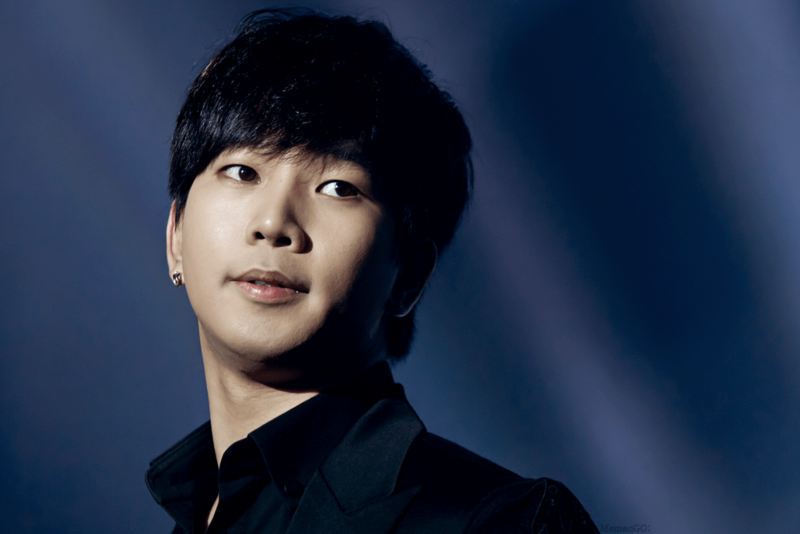 Random aside..but is anyone else a fan of G.O’s jet black hair? Glossy and healthy, it is so striking against his beautiful complexion and a color that favors him so very much. The deep rich tones are compounded when he is dressed in black. So handsome in this suit. Some moments from the stage . . . Even though at this time I was a complete newbie, I felt the momentum. WAPOP was just a little something to whet the appetite. A warm up of what was yet to come. I was not sure what to expect, but indeed, I felt the temperature was rising. 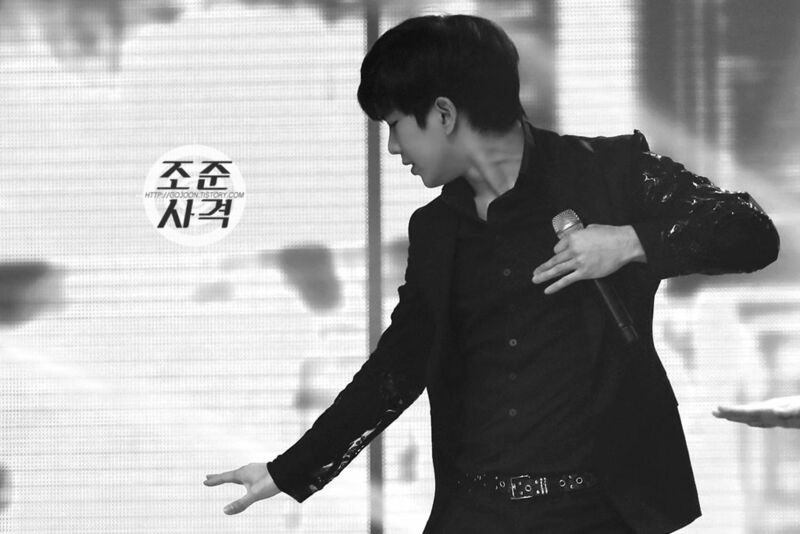 Categories: G.O Military Discharge, MBLAQ Musings, The G.O Files | Tags: Dome Art Hall, G.O, G.O images, G.O in concert, G.O on stage, G.O's Military Service, Jung Byung Hee, Jung Byung Hee images, Korean entertainment, Korean Musical Theater, Korean R&B, MBLAQ G.O, MBLAQ G.O images, MBLAQ G.O in concert, MBLAQ in Concert, Seopyeonje, Seoul Children's Grand Park, The Musical Seopyeonje, Wapop Concert February 2014 | Permalink.